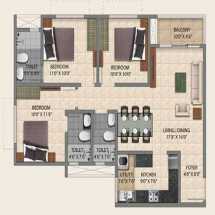 Area : 680 - 1314 Sq.Ft. People interested in buying residential property in Bangalore can have a look at Provident Park Square. The residential complex comes with sophisticated apartments, loaded with a wide range of amenities. 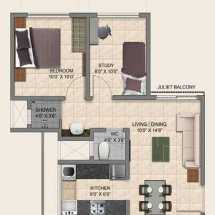 You can buy the 1, 2 and 3 BHK apartments in the residential complex. It has got 2082 units in the fourteen-storied structure. Spreading across a total area of 20 acres, the estate brings quality lifestyle to the residents. 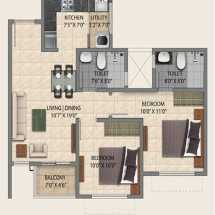 The prices of these apartments start from INR 27 lakhs. The residential complex comes with green living facilities. The location advantage of the estate is one of the key reasons behind its popularity. The residents can get across to the important areas of the city through the NICE Road, located 5 Kms. away from the estate. The International Airport is located 45 Kms. away from the estate. Besides the upcoming metro station will further bolster the connectivity in the region. 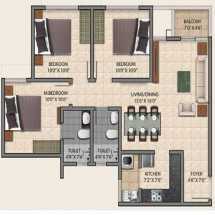 If you are willing to buy Property in Kanakapura Road Bangalore, you can get your apartments here.